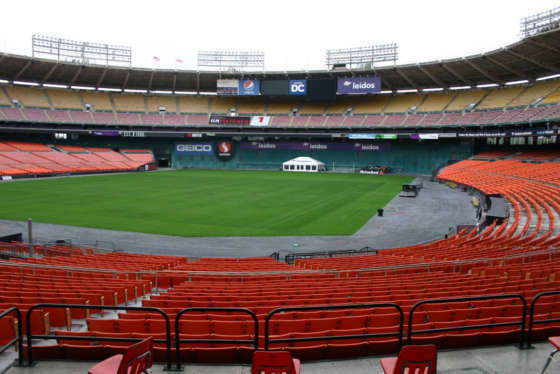 What's at RFK Stadium these days? Go-Karts -- but not just any type of Go-Karts. If you’re going to try out the Go-Karts at Summit Point, you’re going to be treated like a burgeoning race car driver. That’s what Jens Scott said while sitting in the pits of the new Summit Point Karts, D.C.’s newest go-kart track, which just opened the first two of three planned tracks in Lot 8 of RFK Stadium. Not to say this isn’t a kid-friendly space but the expectation is that you’ll be driving in ways that would get you ticketed or even arrested on the highway. The target demo here isn’t little kids looking to goof around between video games. While you’re driving around in Go-Karts, Summit Point exudes more of a professional racing vibe. The first thing you do when you arrive is sign a waiver and you’ll need to listen to some brief instructions before you’ll be given a balaclava, basically a flame retardant hood, and a helmet. After that, you can hit the track. Don’t be fooled: If you’re going to RFK to try out the go-karts at Summit Point, you’re going to be treated like a burgeoning race car driver. The expectations are you’re going to drive as hard and as fast as you can while honing the skills of a race car driver. But Scott runs a tight ship and the mythology of bumping and physical racing made famous in various NASCAR related movies won’t be tolerated. If you’re a first-timer you’ll start on Track A, which is most similar to the kind of tracks your kids might ride on. Marked by several 180-degree turns and a nice, long straightaway leading into almost a 270-degree turn, you’ll be pushed to drive as fast and aggressively as you can while staying within the lines and the rules. It’s like competing in the time trials leading up to a race. The high expectations that Summit Point has for how you drive is reflected in the Go-Karts you’ll be driving in. 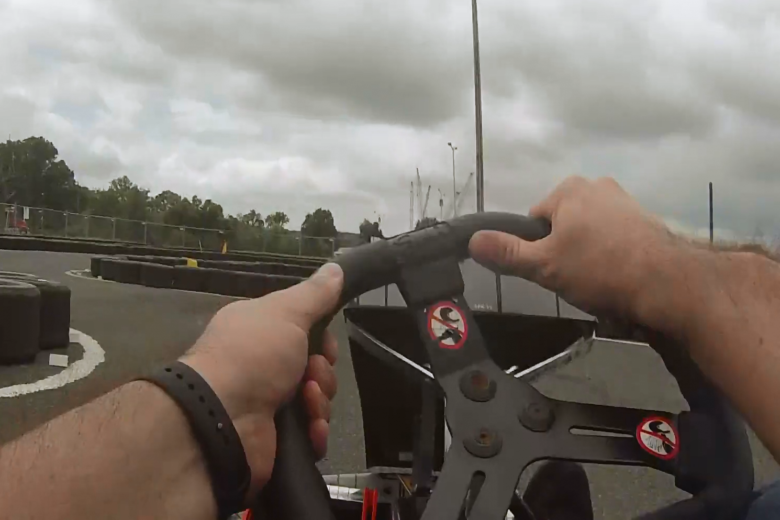 It took me a few laps of feeling out the track and how the kart handles it before I really felt comfortable going at it, but even then I was told to shave off eight-tenths of a second from my lap time before I could move on to the next level. With more focus on how I approached each turn, I still finished four-tenths of a second too slow but I had a better understanding of what it’s like to actually race on a track, which is the point. In an area with so many people working high-stress jobs, who sit in slow-moving traffic, Lot 8 of RFK Stadium offers a unique outlet for people who can finally press the pedal to the medal. So how did they get to RFK? Scott’s hope is that as the land around RFK transforms itself in the coming years, Summit Point Karts will be part of that change.